FactuSOL brings together in a single space the management of purchases and sales, catalog of products, invoices, collections and transfers. In short, everything related to the billing and the day to day of your SME. It does not matter if you manage one or several companies. FactuSOL allows adding more than one to the database, as well as more than one user with different administration privileges. 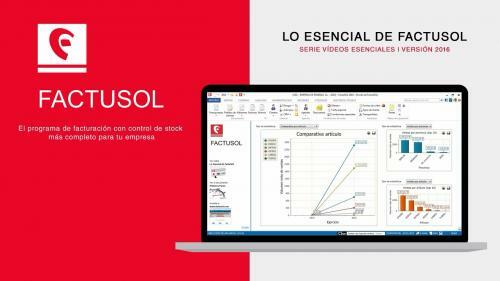 Downloads Software informs that FactuSol2016 2016 should be only used in accordance with the rules of intellectual property and the existing Criminal Code. The inclusion of any keygen, serial or crack is not allowed and disclaims any liability for the inappropriate use of this software.